SOFA_XXXX is a broke college student’s dream: It’s a chair that expands into a couch, so it’s like getting two pieces of furniture for the price of one. 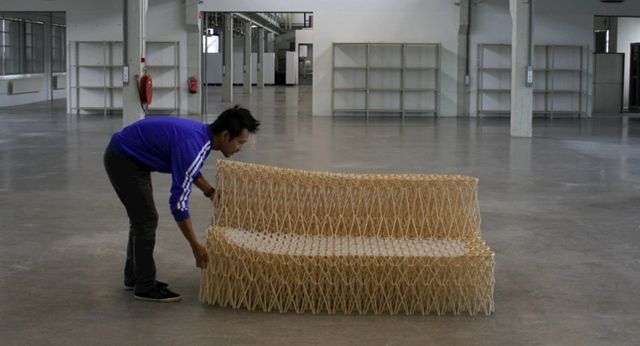 The kicker: It’s made out of chopsticks — a whopping 8,000 of ’em. Suddenly, those egg-crate bookshelves look downright bourgeois. 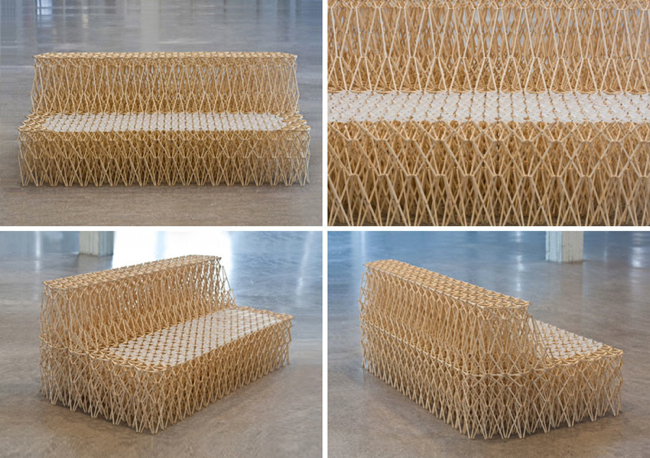 The sofa’s the brainchild of Yuya Ushida, a German-based designer and, naturally, a recent college grad. For the design, he cut and sanded chopsticks into four different lengths to form X-shaped joints. Then, he slipped the joints loosely onto metal rings, like a set of keys, giving the chopsticks plenty of room to move around. 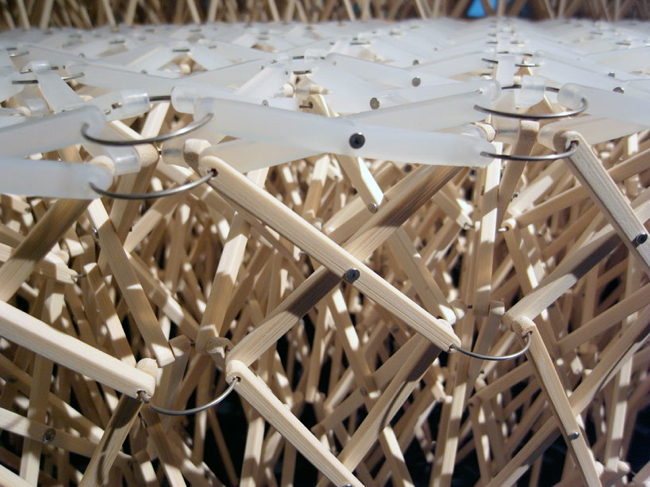 Finally, by combining the joints at various angles in 3-D space, he was able to create an accordion-like space frame (see below) that grows when pulled out and contracts when pushed in. It took him three months to complete. Ushida says the sofa can support as many as three people, each under 155 pounds — impressive considering that you’re talking about chopsticks, but also laughably flimsy for the average American customer. As best we can tell, SOFA_XXXX — which showed at IMM Cologne recently — isn’t commercially available, anyway. Of course, if you’re feeling industrious and you’ve spent the past 4,000 nights eating Chinese takeout, you could always try to make one yourself. It can’t be harder than building Ikea furniture.